As the world gets smaller, open communication and meaningful dialogue between diverse communities and individuals becomes even more important. Social media, for all its perceived flaws, can be an incredible tool for cooperative, constructive and positive interaction between people of different religious traditions and humanistic beliefs. With that in mind, this month long Interfaith Ramadan blog project aims to explore the Holy Month, not only from a Muslim viewpoint, but also from Christian, Jewish and socio-political perspectives. The series aims to present different aspects of Ramadan (whether physical, spiritual or cultural) in a relatable way for new Muslims, born Muslims and non-Muslims alike. There will be various down to earth accounts which reveal both the ups and the downs of Ramadan. The hope is that this encourages learning from each other and facilitates greater understanding, appreciation and the ability to see where our diverse thoughts and beliefs overlap. Ramadan is traditionally a time when communities come together, and in that spirit, there’ll be plenty of thought provoking and entertaining posts by featured guest writers during the next 30 days. These special guests all come from different nations, faiths, and backgrounds and will be covering a wide range of topics which are sure to tickle your fancy. In turn, I hope these posts will encourage readers to share their own thoughts and experiences with others, whether in the comments section below, in person or on Twitter and Facebook. On a personal level, I’m amazed it’s already my third Ramadan! I still feel that I have so much to learn. I spent the majority of my first two Ramadans just getting used to physicality of fasting but I didn't feel as though I actually achieved much else. Now that I’m more accustomed to fasting, I’d like to be more productive in my third, hence this Interfaith series. My hope is that the series will not only encourage me to read and study during this month inshAllah, but also inspire any readers who are trying to make or break a habit during the next 30 days. Along the way, the series will be reflecting on ways in which Ramadan might translate into our everyday lives throughout the rest of the year. Each new post will be put in a list on the left hand panel so that they’re easily accessible if you miss any and want to catch up. Should you come across a random word in Arabic that baffles you, you can find a vocabulary box in the right hand side bar. Let me know if there are any I've missed! If you’re a blogger or vlogger, you can join in too by linking your posts below or use the hashtag #InterfaithRamadan on Twitter to share your thoughts, opinions and experiences. I’d love to hear your tips or favourite Ramadan resources and several of these tips, tweets, articles or videos will be included at the bottom of each daily post. You can also follow my Ramadan Board on Pinterest which will be regularly updated with recipes, ideas and related articles. I’m really looking forward to sharing with you and learning from others this Ramadan. I’d love to hear any comments, feedback or ideas you might have as the month goes on so that I can make the series as interesting as possible. If something tickles your fancy, please share with your friends, especially those who you think would appreciate and benefit from this Ramadan series. In the meantime, here are some wonderful organisations and people who work towards increased Interfaith dialogue for you to browse through. The Christian Muslim Forum (@ChrisMusForum) encourages positive dialogue between Christians and Muslims and promotes faith as a catalyst for positive relationships with each other and wider society. Interfaith Alliance, based in Washington DC, celebrates religious freedom by championing individual rights, promotes policies which protect both religion and democracy, and aims to unite diverse voices to challenge extremism. It achieves its aims through education, grass roots activism and co-operation with religious leaders and politicians. Faith Matters UK works towards peace and creating community cohesion and conflict resolution through interfaith dialogue on a local and global scale. As well as organisations, there are many individuals who promote cohesion and constructive conversation between different faiths and share positive examples of Interfaith dialogue from their own experiences. Writer and blogger Susan Katz Miller embraces Two Religions in One Interfaith Family in her fascinating blog On Being Both. Chicago based Hind Makki is an American Muslim interfaith activist and feminist, interested in social justice, fair media representation & living an ethical life. Find her blog here. Dr Ingrid Mattson is a Muslim leader, a professor of Islamic Studies and an expert in Christian-Muslim and interfaith relations. Saadia Faruqi is an interfaith activist, speaker and writer specializing in Muslim American issues. She blogs at Tikkun Daily and is editor of the Interfaith Houston blog. 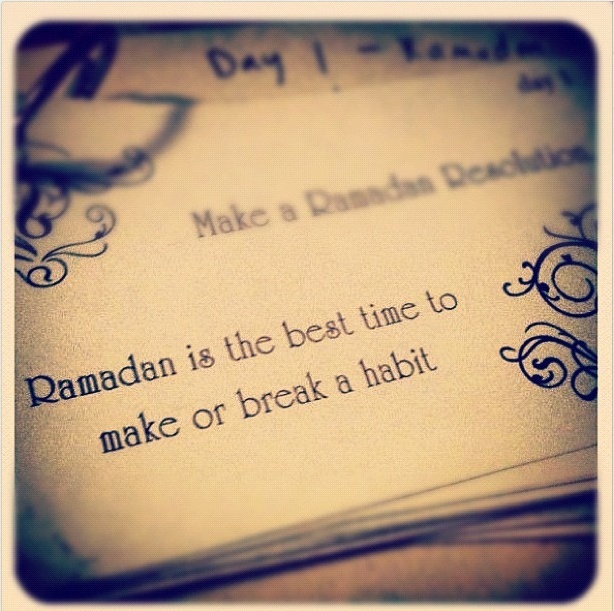 Are you writing any blog posts this Ramadan? Feel free to post the links below for others to read! Next Post: The Absurdity of Ramadan: You Know You're Crazy, Right? Thanks for the links and suggestions. I just followed a bunch of them. Thank you! I hope you're enjoying the series so far. I enjoyed your post. I'm so glad I discovered your blog and your awesome "Interfaith Ramadan" project. I'm myself Christian, and my husband is muslim. We are part of an Interfaith group of muslim-christian families in Paris, France (www.gfic.net). I write a blog about our group's families, interfaith education, culture, ressources, crafts etc. You can visit it here: http://gfic-enfants.blogspot.fr/ (blog in french). Happy and blessed Ramadan to you! Thank you Sophie! That sounds like a wonderful project.